Made of pongee material, very soft, waterproof, easy to clean and dry. 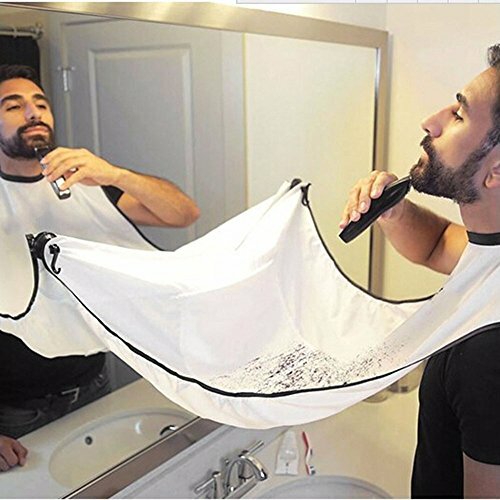 A comfy bib to catch all of your fallen facial hair clippings. Attaches to the mirror to create a large safety net. No more stray hairs down the sink, on the soap, in your toothbrush.